The Vintage Collection is back! Hasbro's famous super-articulated 3 3/4-inch action figures have returned on retro-styled packaging recalling the original Kenner Star Wars action figures. 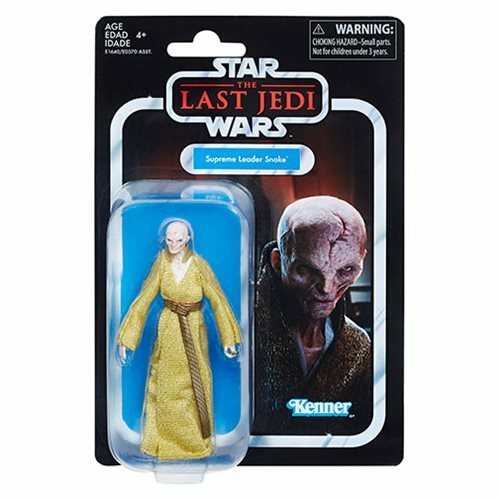 The Star Wars The Vintage Collection Supreme Leader Snoke 3 3/4-Inch Action Figure includes a fantastic gold robe. Ages 4 and up. Star Wars Vintage Figures Are Back!